Ok, promised myself that I would not sully this blog with anything other than writing related stuff and that I would keep my professional comments about teaching out of it unless they related to writing (as I did for an #amwriting post). However, this really annoyed me this morning and I felt compelled to write about it and it sort of has a link to writing that I can sort of shoehorn in (being a link to journalism…). Except… this is not true. Not by any stretch of the imagination. Any teacher who has qualified recently or has done any CPD related to behaviour management should be aware that there are actually more than two options for ‘behaviour management styles’. In one system I was taught, you can be Despotic, Military, Organisational, Functional or a proponent of Self Discipline. It is also generally considered a ‘bad thing’ if you are forced to be Despotic or stray too far into the Self Discipline route. The extremes are not good because they indicate that you have lost control completely and either have to let them get on with it on thier own (which does work in some situations, especially older groups, but generally leads to chaos) or have to stamp down hard and constantly for the entire lesson just to get a modicum of reasonable behaviour. The teacher who was on Breakfast this morning, for example, seemed to get angry very easily. I can see his style of teaching being very despotic and involve a lot of shouting at pupils. Apart from being inefficient, this is tiring for anyone to maintain for a whole day – having to fight for every piece of ground gained. It’s the trench warfare of behaviour management. More to the point, like trench warfare, it does not achieve much education. Instead, what you are supposed to do as a teacher in a classroom is find a style of discipline that suits both you and the classes you are teaching. It is a dynamic process too – changing each lesson or even each part of each lesson as you get to know the class better and how they behave. 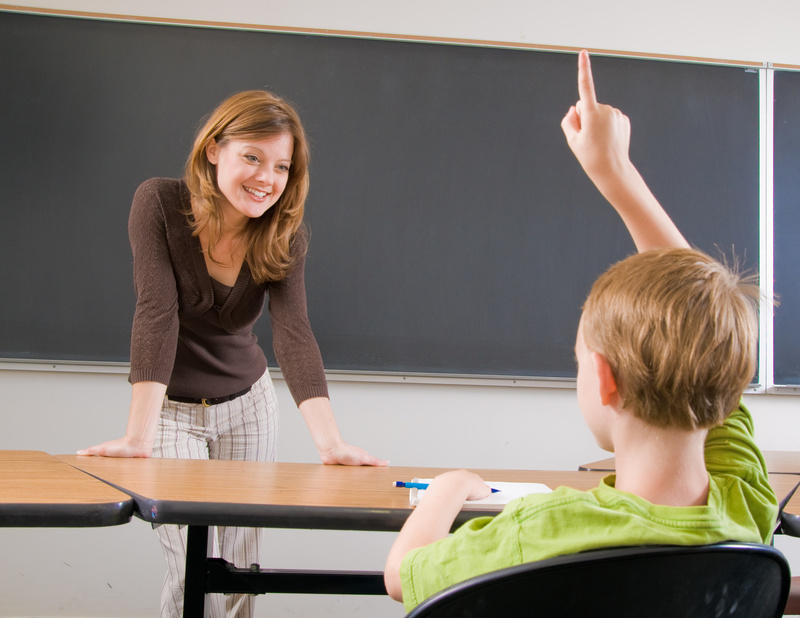 A good teacher has a handle on how a class is reacting and will adapt their practise to suit. It is a difficult balance to maintain (and I am by no means perfect at it yet) but the rewards when you do get it right are well worth it. You get far more from a collaborative approach where you maintain a level of control but allow some freedom of expression than you do from a strict authoritarian approach. There are also concepts like getting the respect of the class (so they actually follow your instructions because of this respect not because you will punish them) and ensuring that the work being set is interesting enough to prevent boredom (which is the biggest cause of bad behaviour in my experience) that also influence behaviour. A lot of this can be dealt with in planning (such as ensuring that the resources are fascinating) or through methods such as asking the pupils to engage in a democratic process over what the class rules should be (pupils often suggest far stricter rules than teachers would and the trick here is that they are more likely to follow them because they are rules they came up with not some arbitary authority figure). I am not saying that behaviour management is an easy thing to do. It isn’t. It is in fact probably one of the hardest things a teacher has to do. However, because it is not easy it does not subject itself to easy solutions nor easy partisan definitions and this is where my link to writing and journalism comes in. The simplification of an issue about rising bad behaviour in schools into an either/or situation is not helpful. All it does is give fuel to the conservative ‘bring back the cane’ lobby AND to the ‘wouldn’t it be nice if everyone was nice’ brigade to let them spout their extremist views while neatly distracting us from what might actually be the real reason that bad behaviour in schools is rising – cuts to the education sector leading to less teachers, therefore more pupils per class**, less resources and time to teach an increasingly complicated curriculum in an interesting and exciting enough manner and a general malaise among professionals in practise due to lower pay and benefits all round. I also noticed, as a peripheral point, that this article was on at 0820. Most schools in the UK start lessons (or at least registration) at 0830. Most working teachers would therefore be in school by then (most would be expected to be there by the latest 0820 and most arrive between 0730 and 0830). I would also expect that most parents and their children would have left home to travel to school by then… It therefore seems unlikely that many teachers or parents would have seen this article. I only saw it because, as a supply teacher, I happened to not have been called into work today. I have noticed this a number of times with the BBC – placing articles about schools or education in that time slot which seems almost deliberately chosen to avoid anyone who may be actually interested in it and have a relevant (and possibly contradictory) comment to make. Anyway, that is my rant over with. The moral – be careful of any issue which seems too clear cut, there is always a middle ground which many who know what they are talking about are already following. ** My recent supply work has taken me to several schools which were over subscribed. In one class I had 36 pupils in a room that would have been crowded with 20 and this is not a lone example. 30+ is becoming more common, despite promises that no class should be larger than 30. In circumstances like this, bad behaviour is inevitable because you cannot spend enough one on one time with each pupil to gain their trust and respect. The only places where I have seen smaller class sizes has been in special schools (in one I was apologised to by a member of senior management that a class I had on my time table was 20 pupils, which was higher than their usual cap of 15) and independent schools. And if the ‘facts’ are not interesting or open to discussion then the way you teach them can be. As part of my primary training I taught maths to a class of year 6 (aged 10-11). I used a prewritten set of resources and lesson plans which were aimed at transitioning between primary and secondary. One of the activities was linked to ‘secret codes’ and had the pupils trying to work out the numeric value of different words (you gave each letter a number – i.e. A=1, B=2 etc then each words value is calculated by multiplying all the values together). They had to then find words with values that were exactly a million, find words with the largest values with a given number of letters and so on. Most of it was self driven experimentation. This not only gave a fun way to deal with multiplication of large numbers it also had a hidden lesson about prime numbers which became apparent as the lesson progressed and they explored the relationships in more detail. Because they found out about it themselves, they understood this point a lot better than if they had been taught about prime numbers the same way I was (which was by a teacher telling me). I do understand your english teacher’s pain, though. They limit the texts that are allowed to be studied here too… and they used to rarely seem to be anything from this century on the list (basically you had Dickens, Shakespeare, Austen, Hardy… mostly good stuff but there is also good stuff that is more recent). Now they seem to have modernised a bit. You still get Shakespeare and Dickens et al (and you should, study of literature should include the classics of the past) but you also get novels from the 20th century in there too.